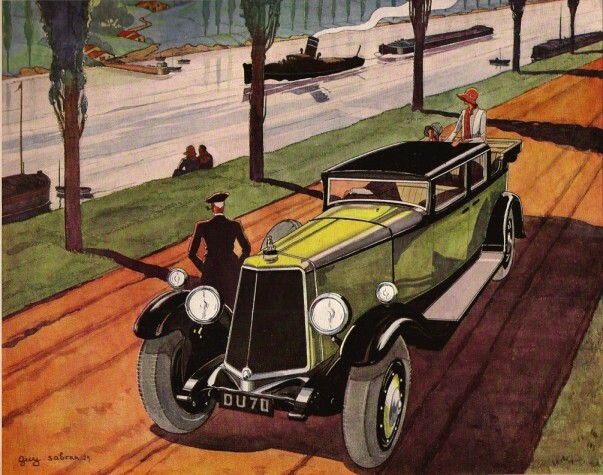 Welcome to the Armstrong Siddeley Motors blog in the Centenary Year of Armstrong Siddeley. 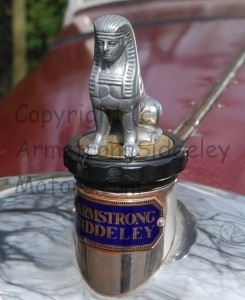 My blog is dedicated to vintage Armstrong Siddeley motor cars from 1919 to 1932. Armstrong Siddeley made five different models of car in the 1920s. All the cars were made in Coventry, Warwickshire in England. Armstrong Siddeley made cars between 1919 and 1960. Please click on the links below the images to find out more. Is this the most exciting Armstrong Siddeley ever made? This the Siddeley Special which first appeared at the 1932 Olympia Exhibition motor show. The six cylinder 5 litre engine was made of Hiduminium alloy which was light and very strong. 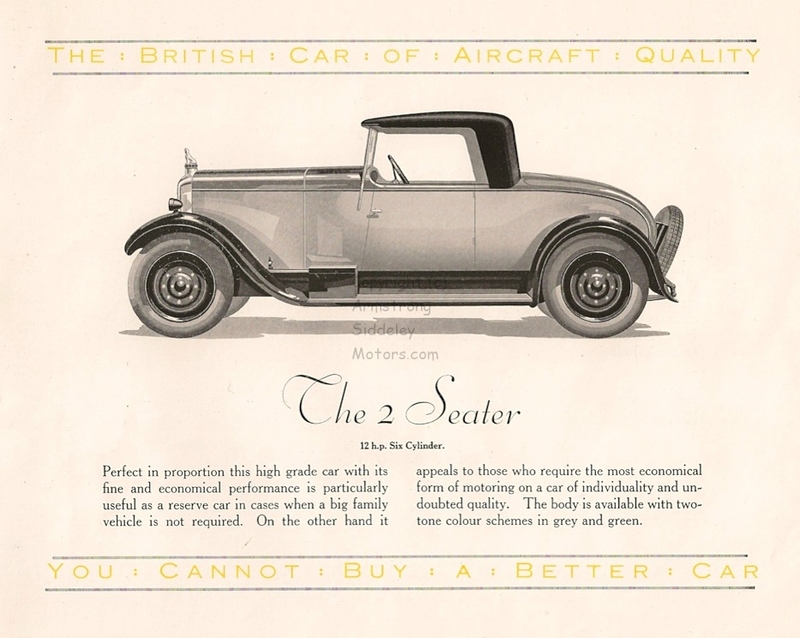 Armstrong Siddeley emphasised that the engine employed aero engine practice and even the car’s brochure had a mock aluminium cover and silver pages. This was a large car with 11 foot wheelbase (3.35 metres). Armstrong Siddeley Special Coupe Cabriolet made by coach builders Salmons and Sons. It cost 945 pounds when new in 1933. 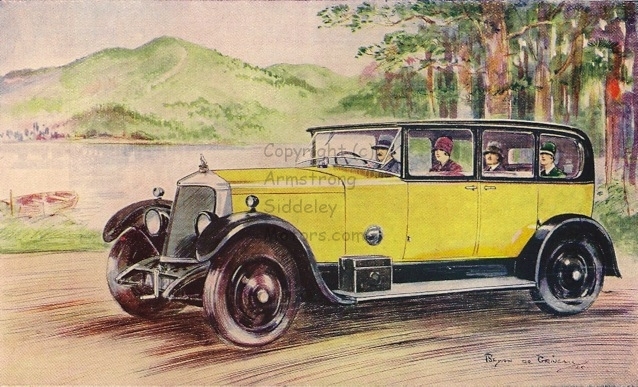 Armstrong Siddeley launched the 30 horse-power model in 1919. It was a large luxury car bought by wealthy owners. Cars could be fitted with tourer, saloon and coupe bodies. Factory designed bodies were made by Burlington Carriage Co Ltd which was owned by Armstrong Siddeley and other coach builders built bodies especially for the new owners. Armstrong Siddeley continued to make the 30 HP into the 1930s. 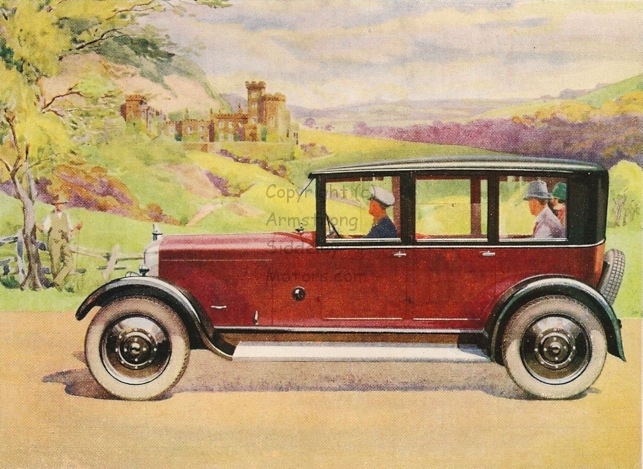 This picture shows the Mark 3 coachbuilt saloon in 1928. The 30 HP had a five litre, six cylinder engine. It was a competitor to Rolls Royce 40/50, Lanchester, and the Daimler 30, 35 and 45 HP models. For more information click here a?30 horse-power? Armstrong Siddeley started making the 15 horse-power car in October 1928. Originally it shared body styles with the 14 HP and by 1930 had replaced it. The 15 HP car had a six cylinder engine of 1.9 litres. In October it was given a V radiator and the look of the car was modernised. The 15 HP continued to be made through to the mid 1930s. For more information click here?15 horse-power? The links above take you to the pages on each model. In addition, I have added pages on Books about Armstrong Siddeley and vintage Armstrong Siddeley advertisements Advertising Armstrong Siddeley. Recently, I have added more information on the technical details of the different models. Do have a look. 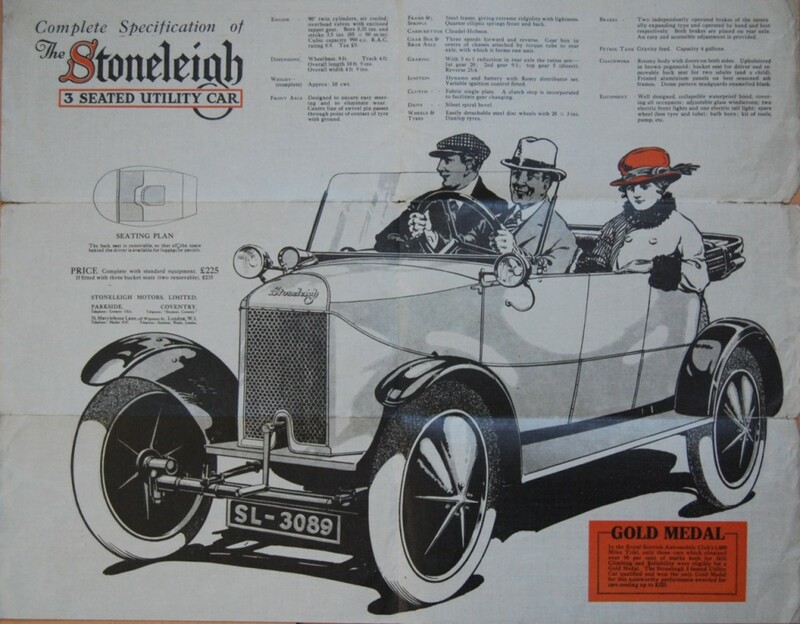 Below, in complete contrast, is the main image from a 1923 brochure for the Stoneleigh Three Seater Utility Car. 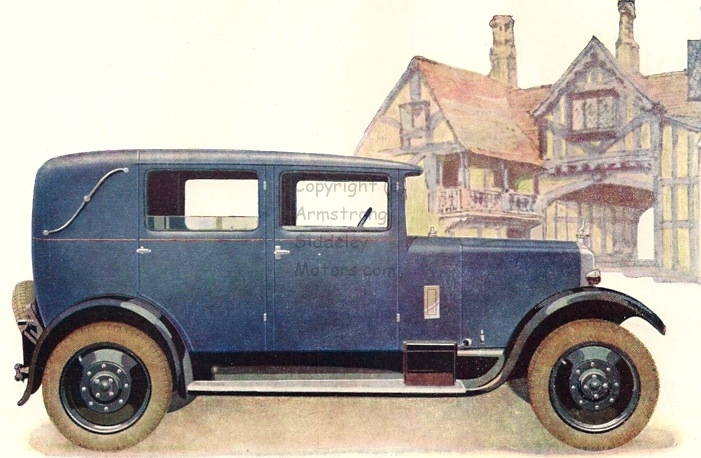 The Stoneleigh was a light car made by Armstrong Siddeley. Light cars were aimed at people who wanted a low cost car and there were many makes made during the early 1920s. Designs varied and the Stoneleigh Utility was particularly unusual as the driver sat in the single front seat in the centre of the car and two passenger seats were behind. The engine had twin air cooled cylinders, set at 90 degrees with a capacity of 998cc. In October 1923 the price was 185 pounds. 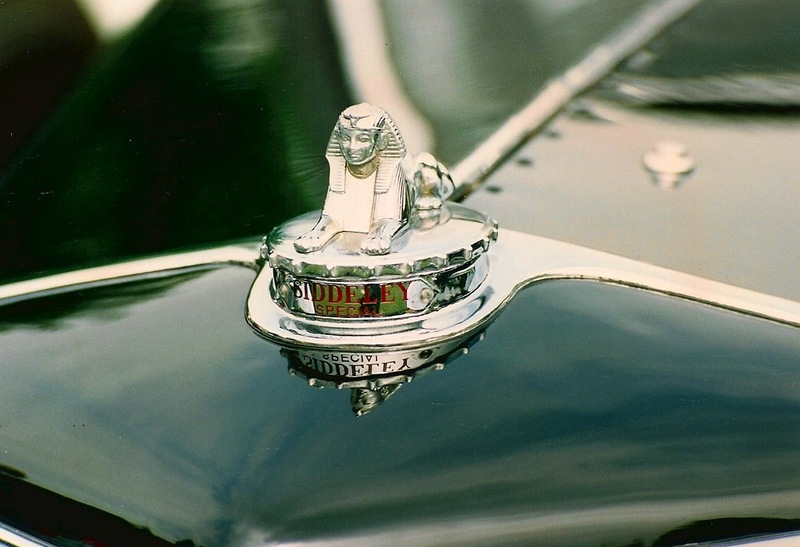 The Armstrong Siddeley Sphinx mascot is famous and was first used by John Davenport Siddeley in advertisements for the Siddeley Deasy car that he made before the start of the First World War in 1914. Armstrong Siddeley Motors adopted the Sphinx when they started production in 1919 and continued until they made their last car in 1960. The Sphinx changed over the years – it was sitting as in the photograph above through to 1932, lay down for the rest of the 1930s when it was modelled on the Sphinxes on the Thames Embankment, and was streamlined in the 1950s. The mascot that I show here dates from 1927. So how do you spot an Armstrong Siddeley in a field or traffic jam of vintage cars? If the car has a saloon or coupe body, it will almost certainly be taller than most other vintage cars. Even a car with a tourer body will sit high above the road as the vintage Armstrong Siddeley has a high chassis because many cars were sold to British colonial countries with poor roads. The design of the Armstrong Siddeley is architectural, reflecting the characteristics of Art Deco buildings of the 1920s. The cars had strong vertical and horizontal lines and an overall solidity. All the designs avoid fussy detailing and this is carried throughout the design so the cars had disc wheels and solid body panels with no louvres cut into the side panels of the bonnet. The Art Deco feel is strongest in the cars with V-shaped radiators. Get closer to the car and you will see the Sphinx mascot on the radiator above the Armstrong Siddeley name picked out of blue enamel. There will also be an intertwined AS on the car’s pedals. Another unmistakable feature is the loud whine that comes from the gearbox in first and second gears. This is a characteristic of the crash gearbox, so is not heard on the cars with pre-selector gearboxes that were fitted as an alternative after 1928. What will you notice if you are lucky enough to get a lift in a vintage Armstrong Siddeley? The first thing is the high step up onto the running board and into the car giving you a good view of the road ahead. The driver will turn on the petrol under the scuttle, maybe getting out to flood the carburettor, turn the ignition switch to M for magneto and then press the floor-mounted starter button. You will hear a loud whirr as the starter turns the heavy flywheel at the back of the engine. The car should start easily with minimal use of the choke. Out on the road the car will perform in line with many other non-sporting vintage cars with a top speed, depending on the model, of 45 to 60 mph. The cars have a reputation for being slow. There is some truth in this for the cars with heavy bodies and it is definitely true of the underpowered 12 horse-power car. For the other models the reputation for slowness probably comes from two things that you will notice on your journey. The cars have a large flywheel and no clutch-stop so changing gear is a slow process as using the crash gearbox the driver has to wait for the engine to slow down before changing up a gear. Also, there is a large gap in the ratio between top gear and second so as soon as you change down for a hill the car slows down. The good thing is that there are few inclines that you cannot climb up in second gear! Vintage Armstrong Siddeley cars are still being discovered in different states of repair. In May 2014 there were two vintage Armstrong Siddeley cars on sale on the Pre-war Cars website, a 1927 York Saloon and a 1924 Mark 1 saloon kit of parts. In the June 2014 edition of The Automobile magazine, Michael Worthington-Williams showed a 14 HP engine in Wynyard, Tasmania which was saved from a tip. He says he once owned a 1928 14HP car and describes the engine as gutless. My experience is that a well maintained engine is as good as most other mid priced cars of the period. The car is let down by only having three gears and the big ratio gap between second and third gear. Also the saloons seemed to get heavier as the decade went on. H & H Auctions sold a very original 1926 Chiltern Coupe in October 2014 at their Duxford auction. ?Another 14 HP was for sale in the Bonhams auction at Harrogate on 12 November 2014. This was a 1927 Broadway saloon and it didn’t sell at the auctionsee this link. H&H sold a 30 HP Armstrong Siddeley Limousine on 5 December 2013. This car was made in 1919 and has registration number NL 960. I remember seeing it in unrestored condition at Beamish Museum over 30 years ago. It is a big car and an exciting new acquisition for the buyer. would you like technical information on the 9HP (stoneleigh) so you can add a page. The stoneleigh was oft referred to as the 9HP model in the factory, especially on and after Jan 1923 when the 2+2 chummy was shown to the board for approval. The Stoneleighs at the 1922 Scottish 1000 mile rally were preproduction models, there was a strike march 1922 to june1922 stopping almost all manufacture and delaying the first production batch of 100 stoneleighs. Yes please. I would like to add a page on the Stoneleigh and can add your information.